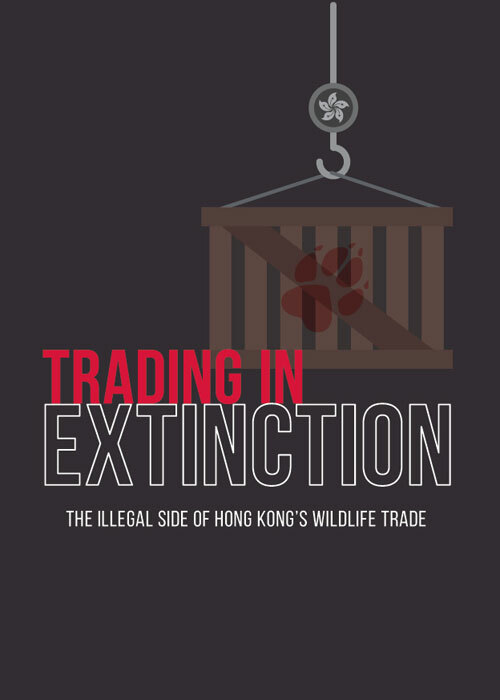 The report ‘Trading in Extinction: The Dark Side of Hong Kong’s Wildlife Trade’, consolidates a large body of pre-existing work and reconciles this with a snapshot of Hong Kong’s seizure data. It aims to update and, for the first time, illustrate the extent and nature of the wildlife trade and wildlife crime in Hong Kong. It demonstrates that not only is the trade in legal and illegal wildlife at a significant and unsustainable scale, it is likely to get worse. Further, while Hong Kong plays a primary role in connecting trafficked products with their illegal markets, the Administration should and could do more to disrupt the associated criminal activity.